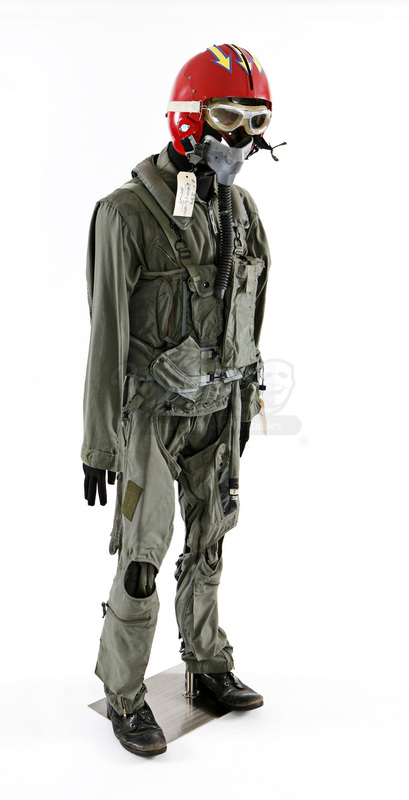 This is Russell Casse's (Randy Quaid) original flight suit costume with accessories from the 1996 sci-fi flick Independence Day. 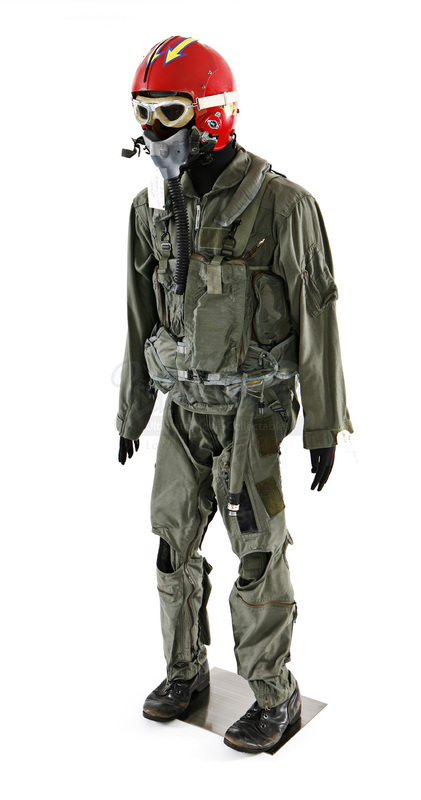 While he does not wear the green flight jumpsuit, Casse can be seen wearing the additional pieces of the costume in the film’s climax when soldiers and civilians alike unite to take on the invading alien forces in an aerial dogfight. 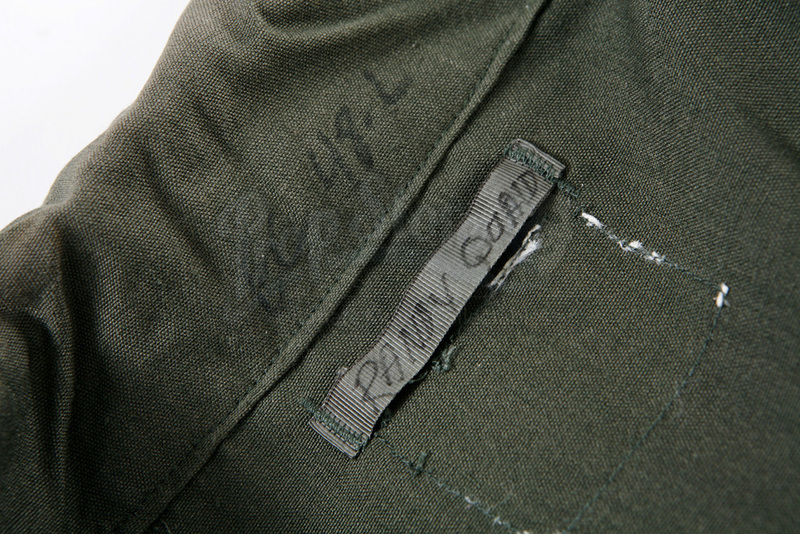 The costume contains a green jumpsuit (size 48 Long) with front zipper, multiple zip and Velcro pockets, and an adjustable waist band with an original tag inside labeled “Randy Quaid”, noting that it was intended for use but ultimately not worn in the film's final cut. 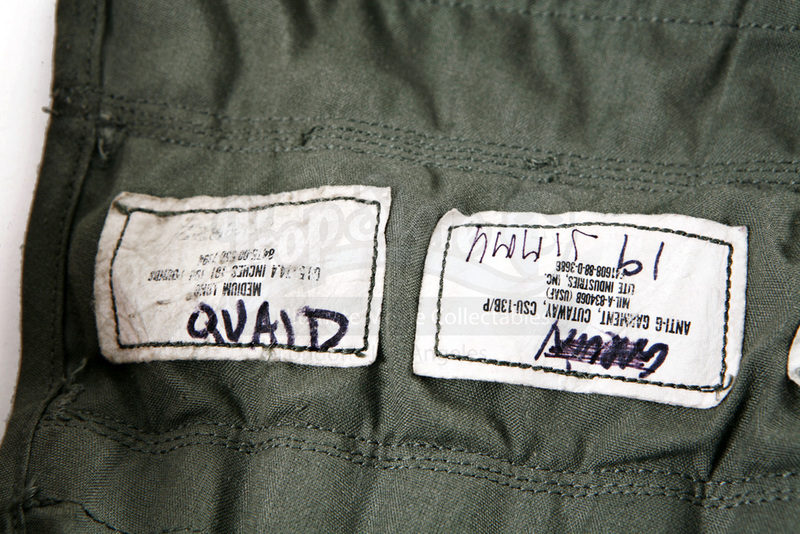 Also present is a G-Suit (size Medium Long, with multiple tags labeled (“Quaid” “19 Jimmy”) worn by pilots around the legs to help blood circulation. 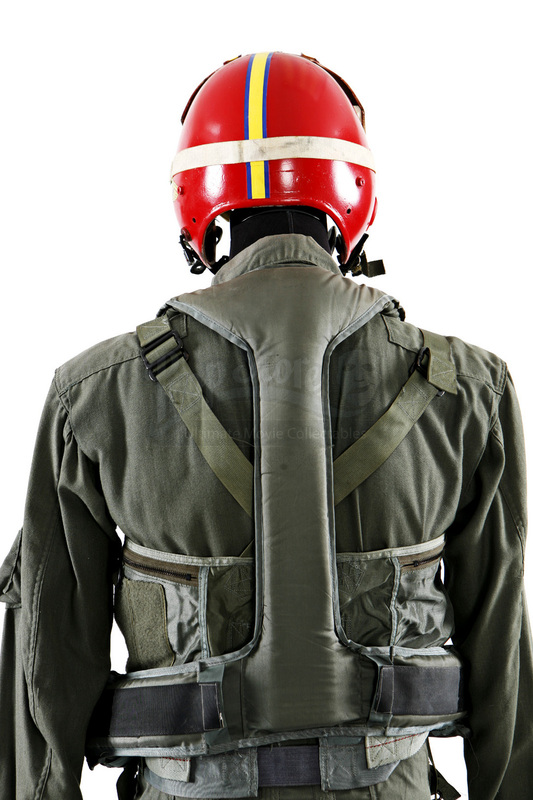 The green suit features zip pocket as well as zippers on two sides which zip together around the legs and an attached hose which connects inside the cockpit. 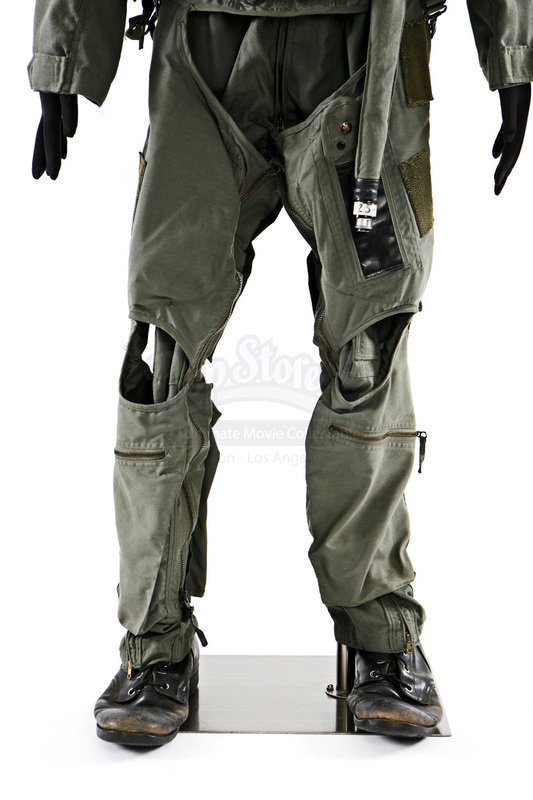 Included is a green vest with adjustable straps that has several zip and button pockets, some of which have been stuffed to appear full for the production. 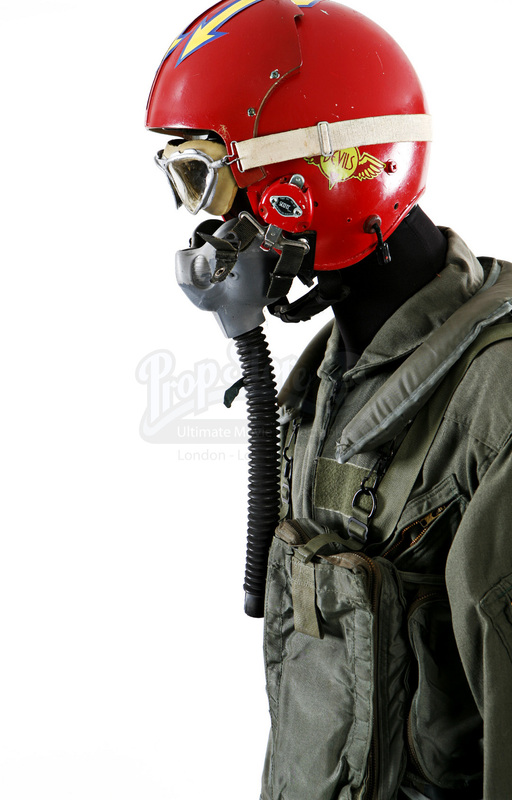 The costume also comes with a red plastic helmet with yellow arrow stickers on top, Styrofoam liner, and pilot goggles with original production tag labeled “E.C. 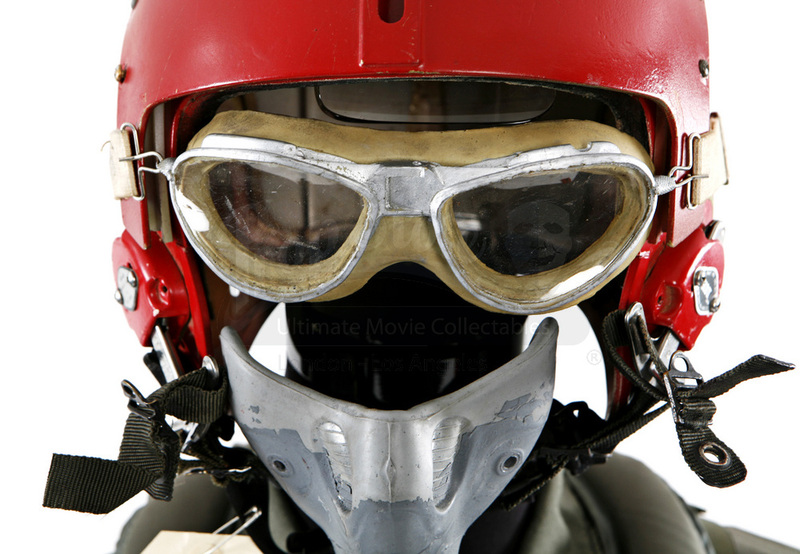 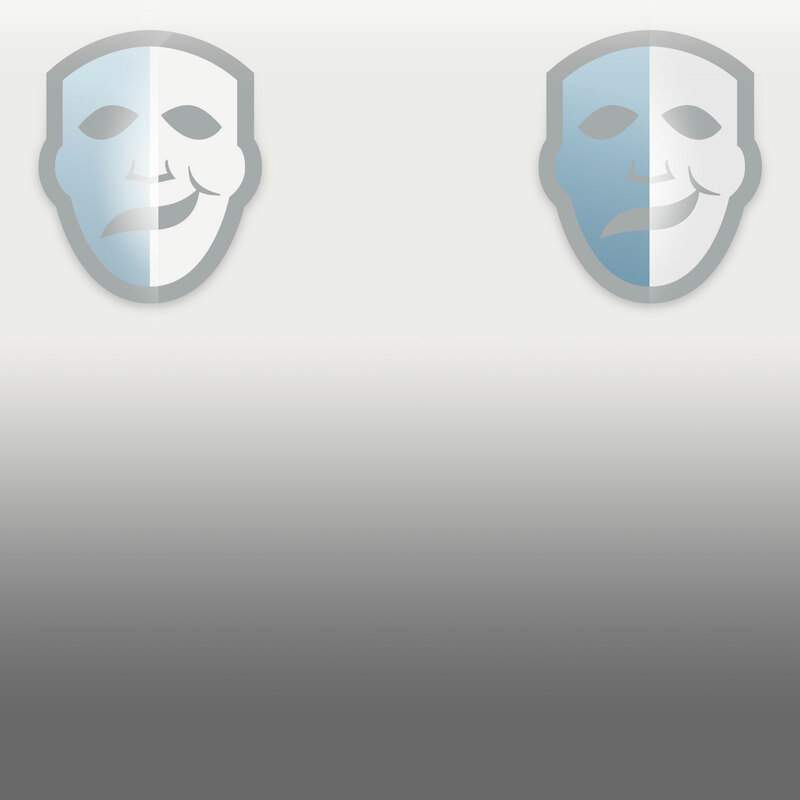 ID4 Randy Quaid Helmet”. 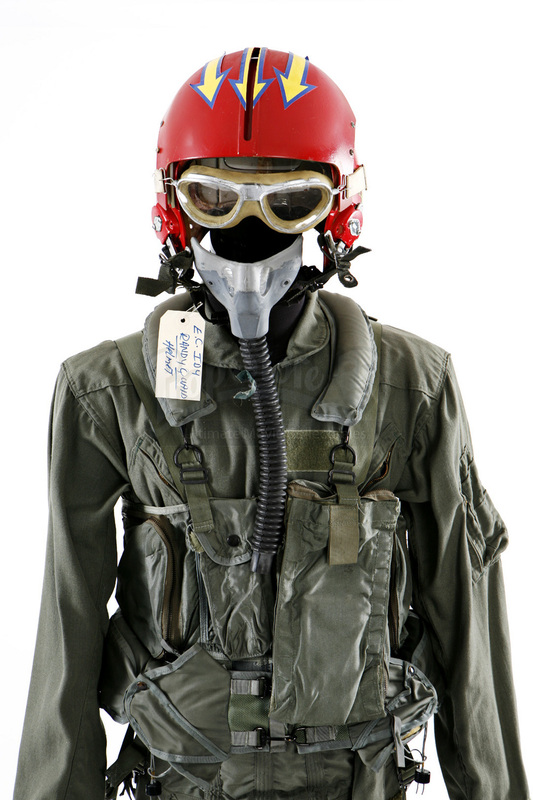 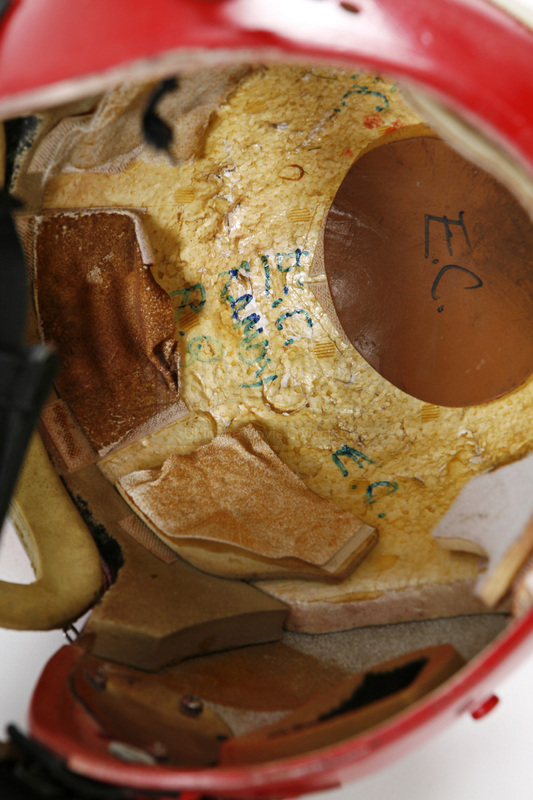 Completing the costume is a pair of black combat boots (Size 12) labeled “Randy”, and an oxygen mask which connects to the helmet. This costume is in fair, production worn condition.